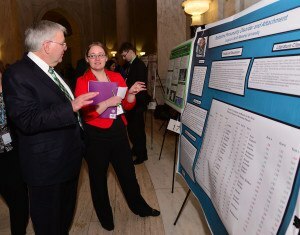 Marshall University President Dr. Stephen Kopp with a student researcher. 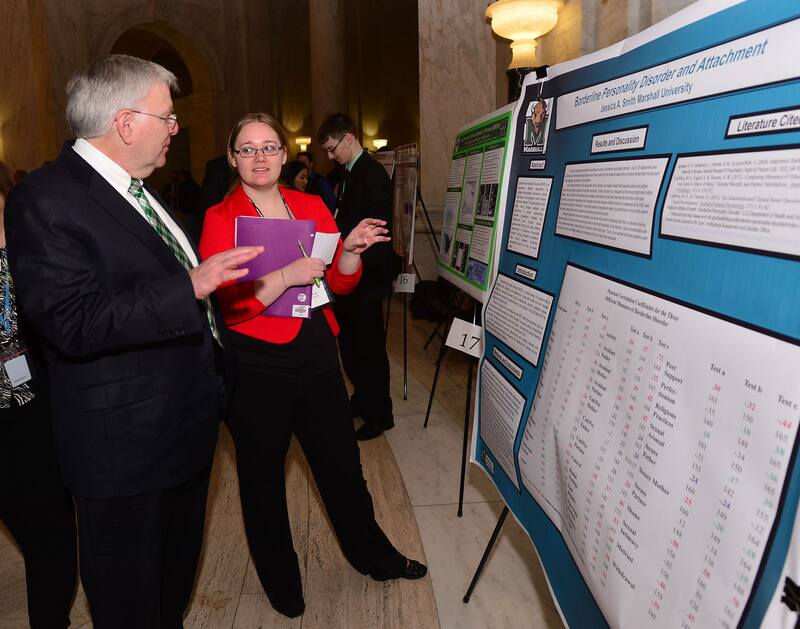 More than 80 college student researchers from across West Virginia presented their discoveries at the 11th Undergraduate Research Day at the Capitol in Charleston on January 30, 2014. The event, held in the rotunda of the State Capitol, showcased the importance of student research by giving policymakers and capitol visitors the opportunity to talk directly with the students who conducted the research projects, which ranged from modeling influenza pandemics to developing a weather reporting app to predicting population growth. The students’ projects are original research and they displayed posters they prepared to help illustrate their work.